WiFi theft is a common problem. If someone gets an idea of ​​your WiFi password, then he can use it anytime. In such a situation, you do not seem to know. If you want, you can know who is using your WiFi without your consent. 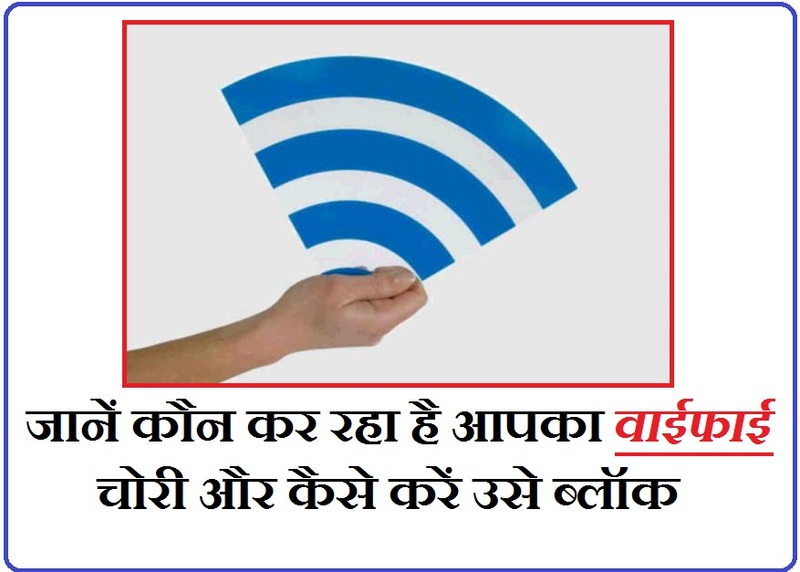 Next we have given some simple tips that will help you to detect and block WiFi stolen. Step 1. If you want to know about theft of WiFi, first you have to download the Finger Network Tools app . Step 2. Download the Finger Network Tools app and open it. Step 3. After downloading the app, go to the phone's settings. Step 4. Open the WiFi network there. Where you will see a list of WiFi connected devices. Step 5. In this list, you can get all the information about the device by typing the IP address of the device shown. Step 6. Through this app you can also know when the device was connected to WiFi and when it was disconnected. Step 7. You can save your name, icon, notes and location in this app. With this app you can find out who is stealing your WiFi But the problem of WiFi theft will not end unless you block it. To block will have to follow some steps. Step 1. Firstly, set your WiFi password again. For this you need to open your router and open the WPA, WA2 and WEP in its wireless security mode. Then change the WiFi password. Step 2. Use of MAC address filtration is also important. MAC Address varies widely between mobile phones, laptops, desktops, tablets and all other devices. For this, go to the router dashboard. Step 3. Where you will find the Wireless Mac Filter section down. Step 4. Type and paste Mac to read this section and apply a follow on the book in the section. After that click on OK button. Step 5. Mac address only accesses your wireless internet device. Step 6. To protect your WiFi from theft, you need to change your WiFi password from time to time. 0 Response to "Who is Settings your WiFi and how to Block it"